Courtney Hansen takes us inside the show that features over 2,500 New Products on display, with over 2,400 exhibiting companies filling over a million square feet of the Las Vegas Convention Center. When it comes to innovation from the car world, the place to catch it all is the SEMA Show in Las Vegas. Not your typical car show and closed to the public, SEMA is where tens of thousands of auto professionals from around the world descend on the city to check out the latest and greatest car gadgets, products, tools and news. Toyo Tire U.S.A. Corp. (Toyo Tires®) has expanded their popular Open Country® family of tires to include two new products – Open Country® Q/T, a touring all-season tire specially designed for CUVs and SUVs; and Open Country® C/T, an on-/off-road commercial grade tire designed to fit ½ to 1-ton pickups. To learn more about the refined Open Country® Q/T and the durable Open Country® C/T go to https://www.toyotires.com/opencountry. A race-prepared Hyundai Ioniq hybrid prototype, developed by Hyundai Motor America’s Engineering and Quality team, set an FIA-certified non-turbo hybrid vehicle land speed record of 157.825 mph, with a peak exit speed of 160.7 mph at Utah’s renowned Bonneville Salt Flats. The eco-focused Ioniq is Hyundai’s newest hybrid model with hybrid, plug-in hybrid and electric powertrains to be available. Ioniq hybrid and electric models go on sale in the U.S. in late 2016 and are on display at SEMA Show 2016. Hyundai Motor America’s engineering and quality group led the concept development for this grassroots motorsports effort. 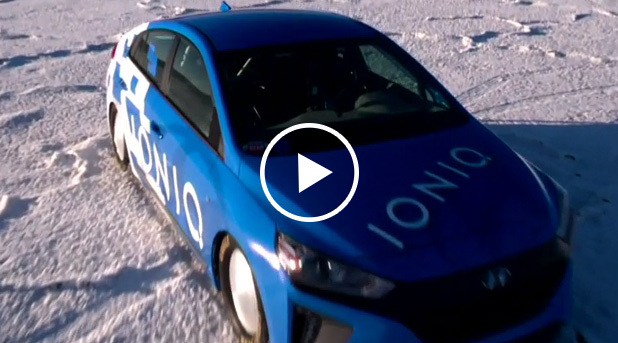 The development team made a number of special modifications to the Ioniq hybrid prototype to break the hybrid record, including powertrain, aerodynamics, suspension and safety. Hyundai Motor America and Bisimoto have again partnered for the SEMA show, this time developing a 1,040 horsepower, rear-drive “Santa-Fast” SUV. Bisimoto is well-renowned for awe-inspiring street, show and race vehicles. With no fear of the unknown, Bisimoto is always on the cutting edge of automotive technology, and the Bisimoto “Santa Fast” Santa Fe is no exception, pumping out the power from a flex-fuel turbocharged, Hyundai-based 3.8L Lambda V6 powerplant making reliable power, positioned longitudinally and driving the rear wheels. Key modifications to the “Santa-Fast” include engine, drivetrain, chassis, exterior and interior. To mark its 50th anniversary, WyoTech will unveil two vehicles that students, graduates and instructors have customized as part of a “Chop Cut Rebuild” feature at this year’s SEMA Show. Individuals at the Blairsville, Pa., campus were responsible for designing and building the “Shagadelic Van,” a 2016 Ford Transit van that has been customized to pay tribute to the 1976 “Cruising Van” featured in an iconic 1976 Ford ad. Ford provided the van to WyoTech and is serving as a corporate partner for this project. WyoTech graduates and instructors outfitted the van with era-authentic elements, such as bubble side windows, swivel rear Captains Chairs, a state-of-the-art audio system and custom shag carpeting, and included a 3.5L EcoBoost twin-turbo engine, Gibson performance exhaust with custom-fabricated side pipes and 18” booster wheels to make it a thoroughly modern ride.